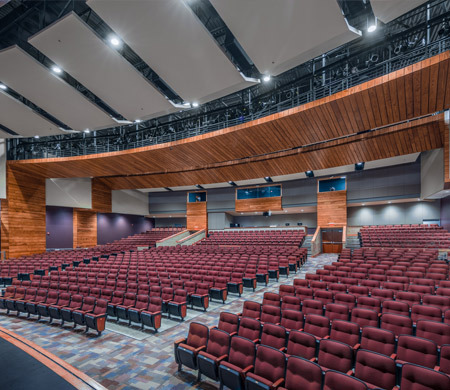 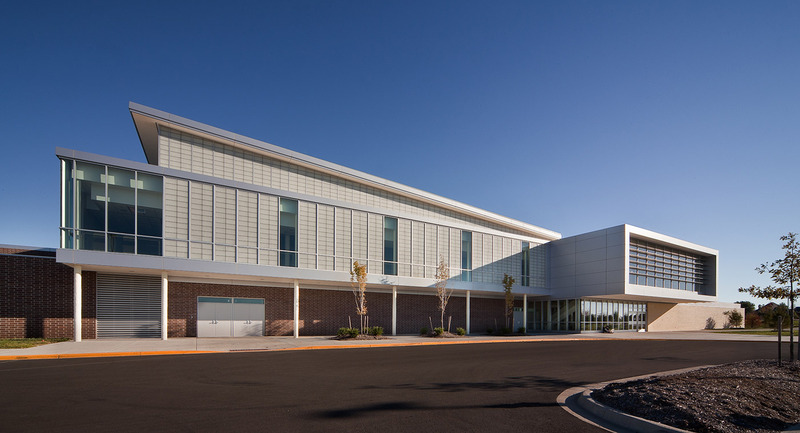 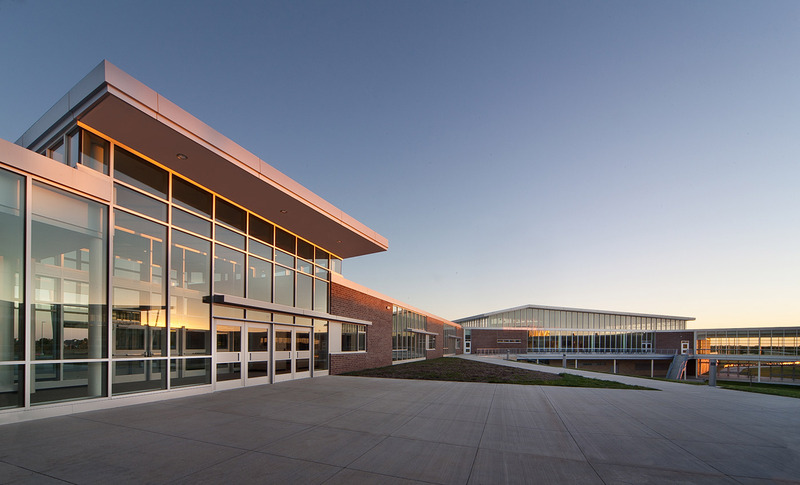 HTK, in association with a national firm, was commissioned to design the District’s fifth high school, Blue Valley Southwest High School. 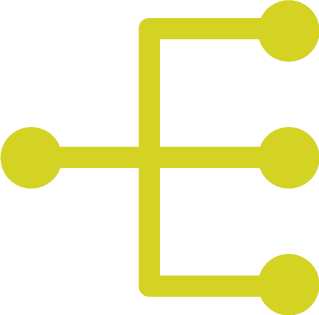 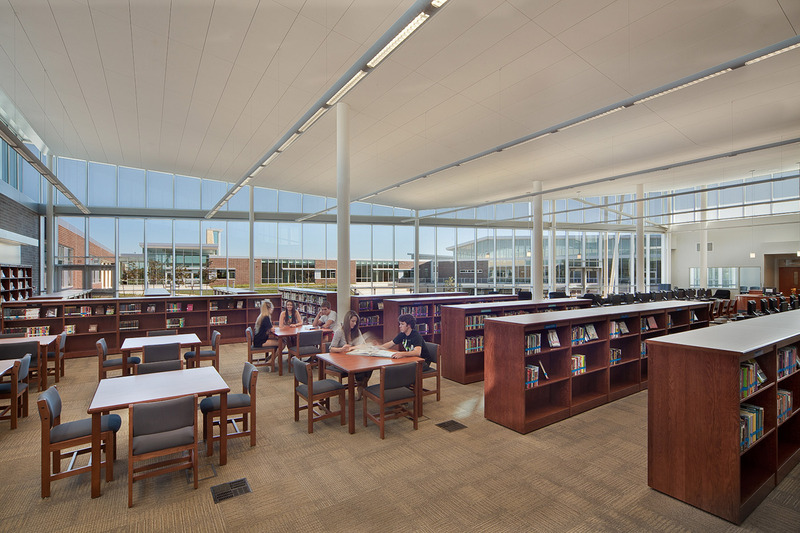 A conscious effort was made to provide larger, more flexible spaces as well as a variety of educational spaces to meet both group and individual learning/teaching needs. 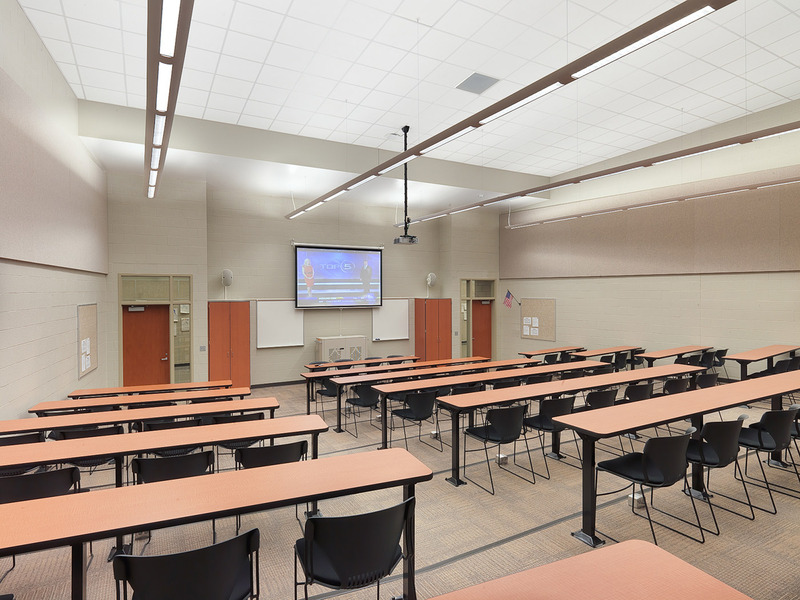 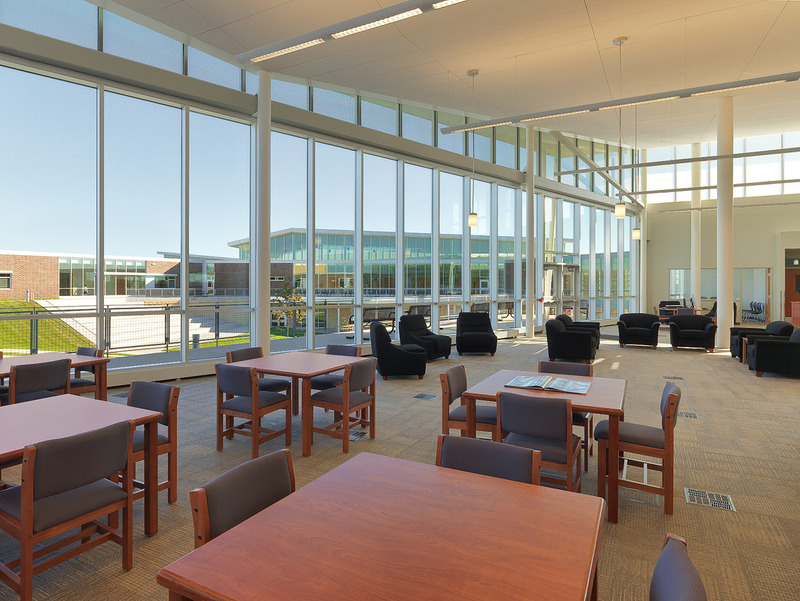 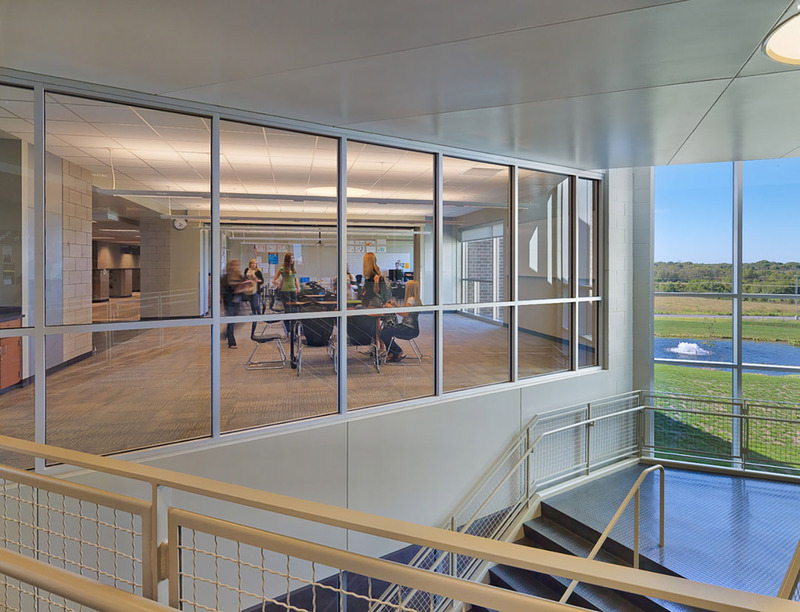 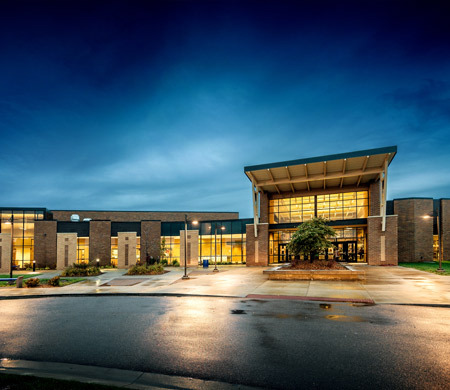 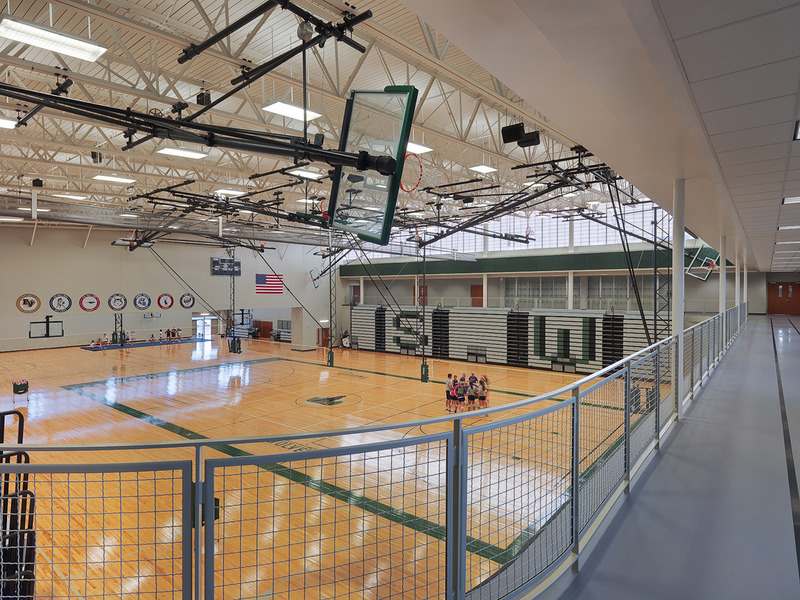 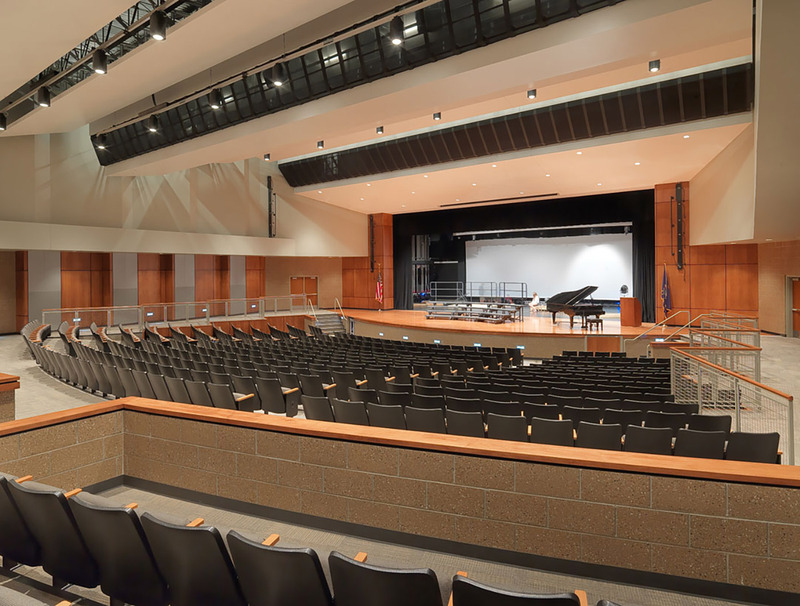 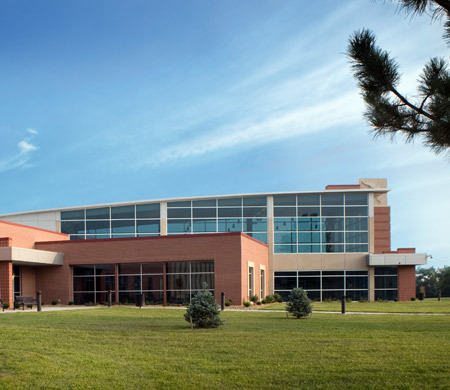 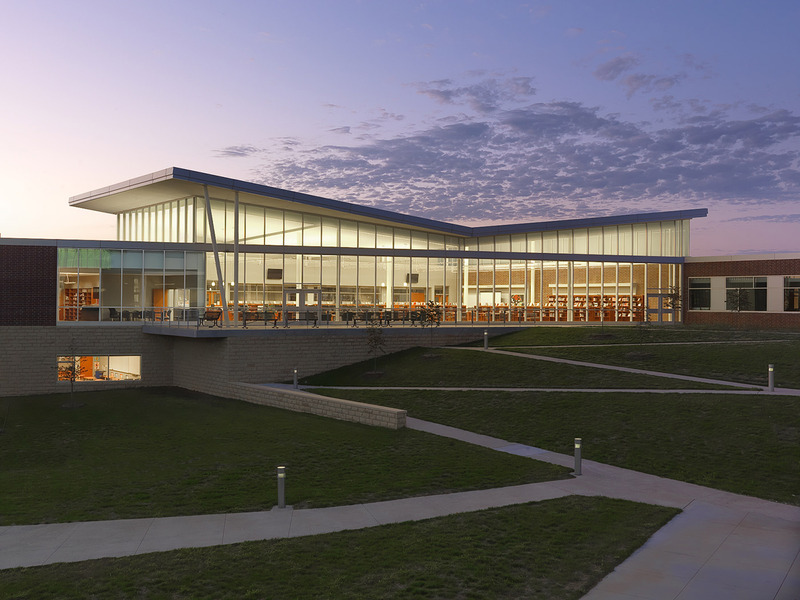 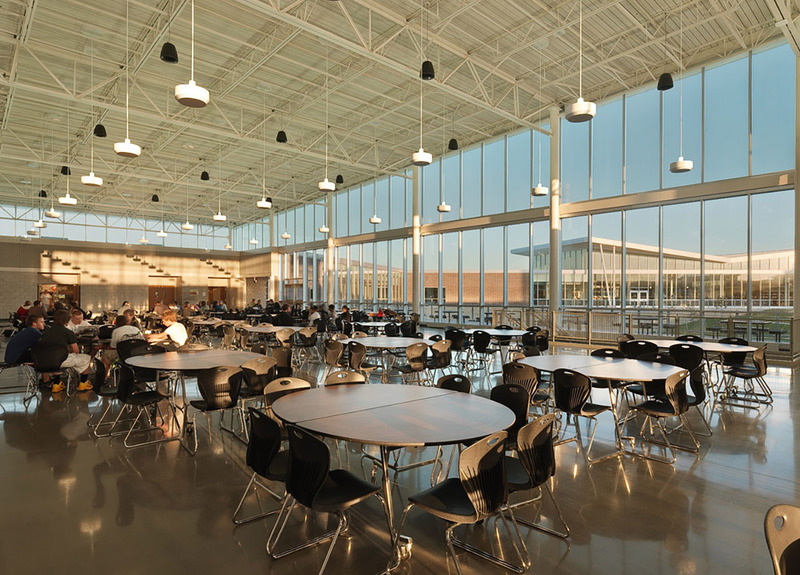 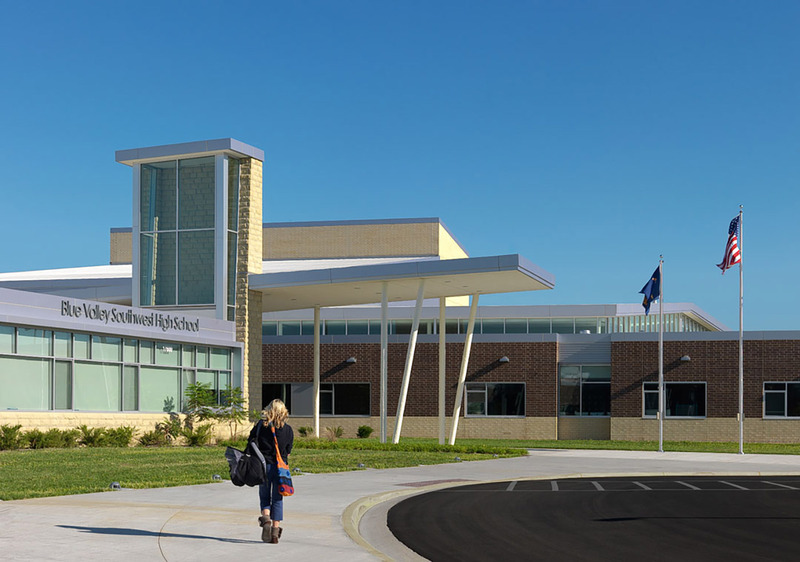 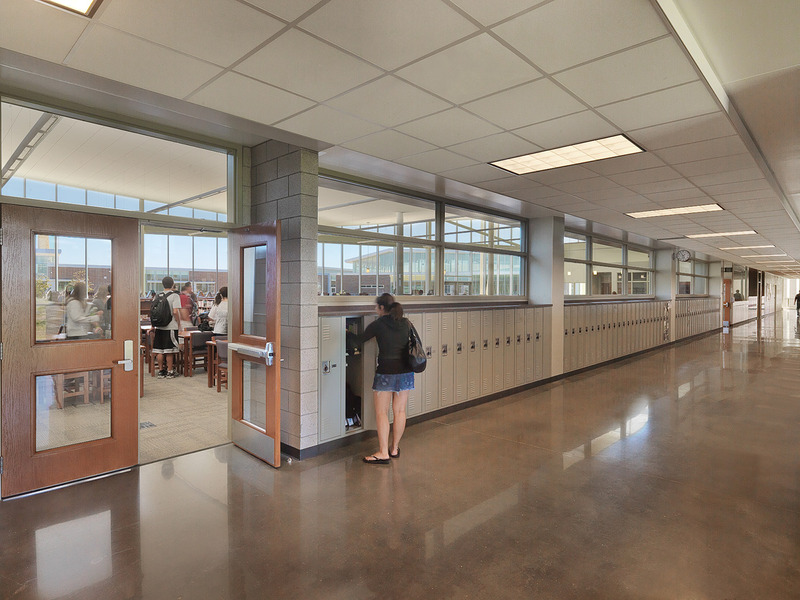 The Blue Valley Southwest High School design embraces small learning communities by dividing a large high school into smaller units and distributing administration throughout those areas. 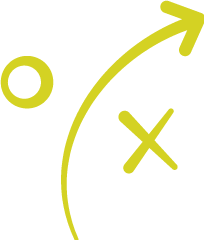 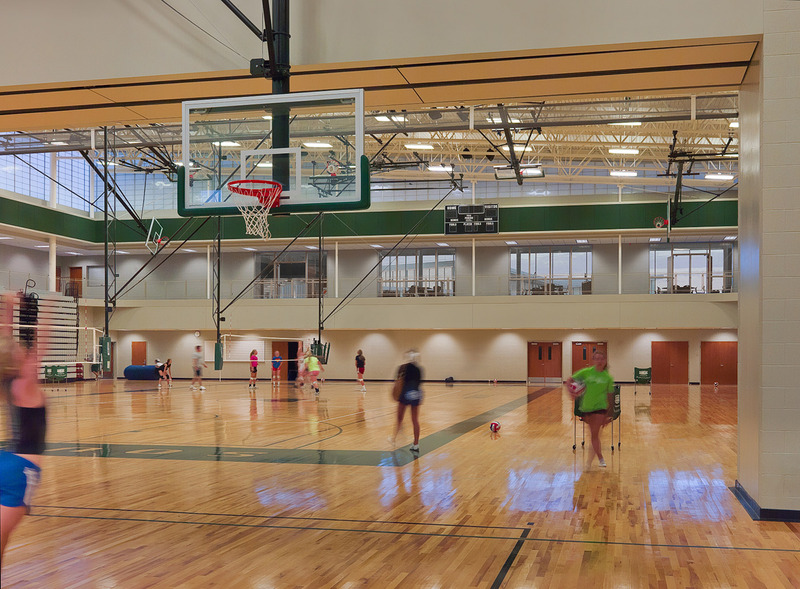 The small learning communities are able to quickly change between a variety of curricular models including academies, grade levels, and departmental structures. 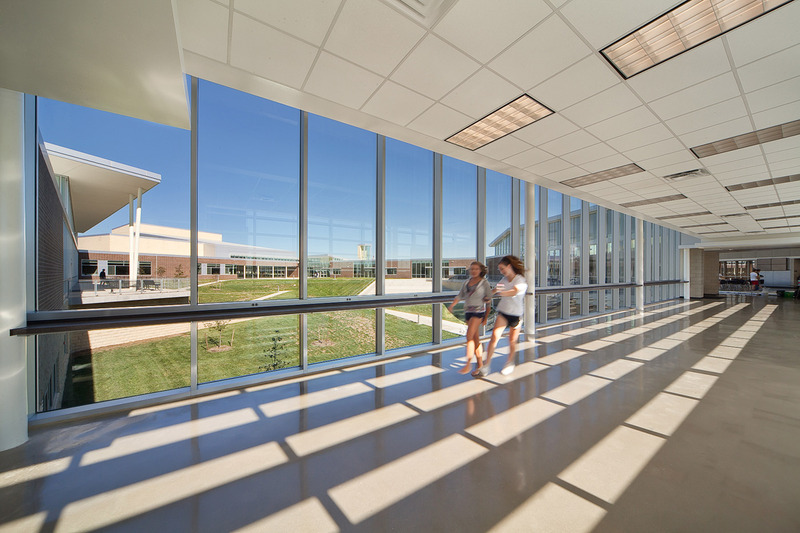 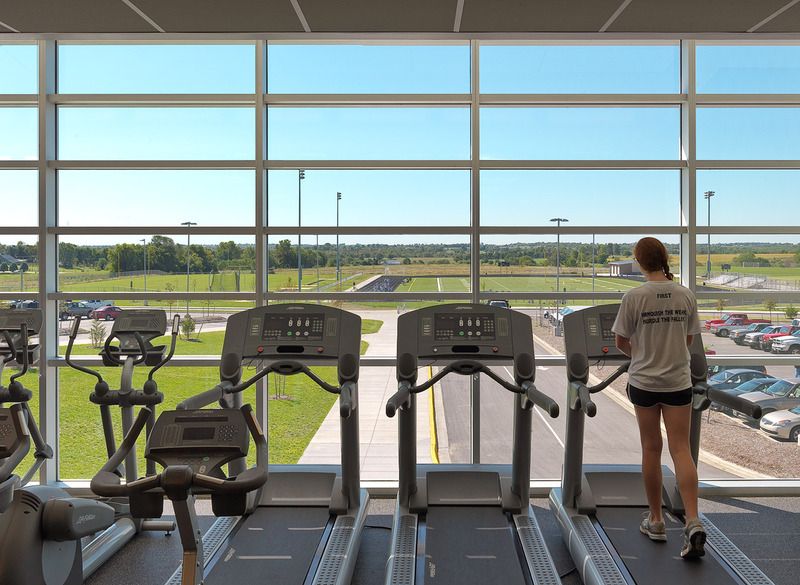 A collaborative planning process resulted in defining a 304,000 SF multi-story Blue Valley Southwest High School that houses 1,600 students in grades 9 through 12. 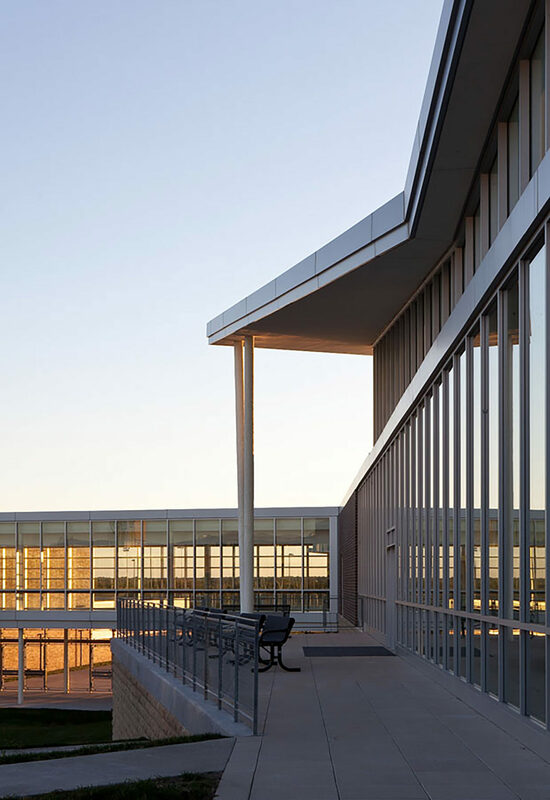 The four major components of the building program include administration, arts, academics and fitness, which are organized around a secure, internal courtyard. 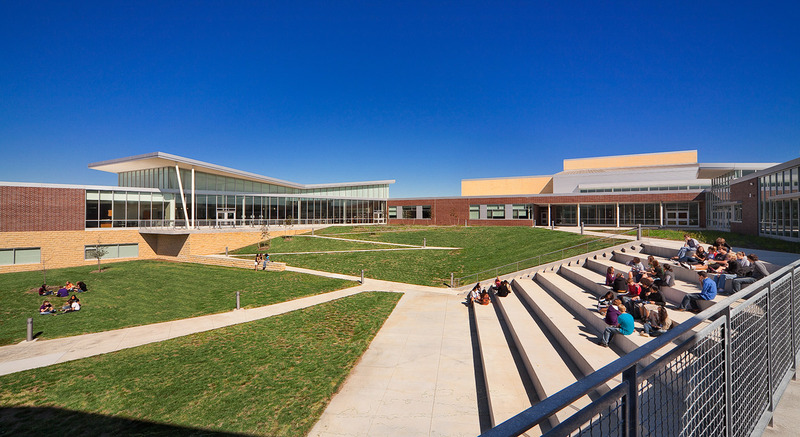 The main level of the building is situated on the ridge of the site to allow for two story classroom houses to be organized as wings on the downward slope.